1890, France. The man was carrying nothing, his hands clasped to a fresh bullet wound leaking blood from his stomach. This was Vincent van Gogh, then little-known, now one of the most famous artists in the world. Whilst his tragic death has long been known, the how and why of how he came to be shot has remained shrouded in mystery. 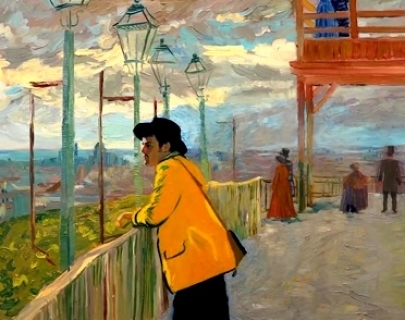 Brought to life as the world’s first fully painted feature film by Oscar-winning studios, follow Armand Roulin (Booth) as he tries to understand why Van Gogh chose the moment of impending success to take his own life.